Duchy Farm Kennels can provide you with many accessories to compliment your new dog kennel or cattery. Whether you need a Draught Excluder, Sliding Hatch, Insulation or a Dog Bowl we can help. 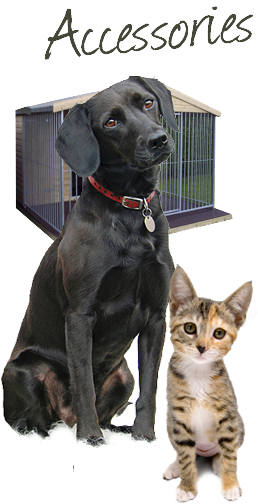 Our Kennel accessories are only available to customers who have purchased or are purchasing a dog kennel from us. Please choose your kennel accessories from the dog kennel page. If you need accessories for a previously purchased kennel then please contact us.